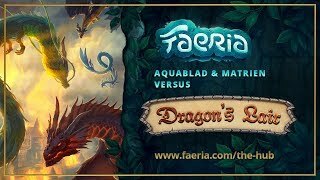 Faeria is on sale! Also, new Seasonal Card backs, and addressing some recent issues involving the Dragon’s Lair. 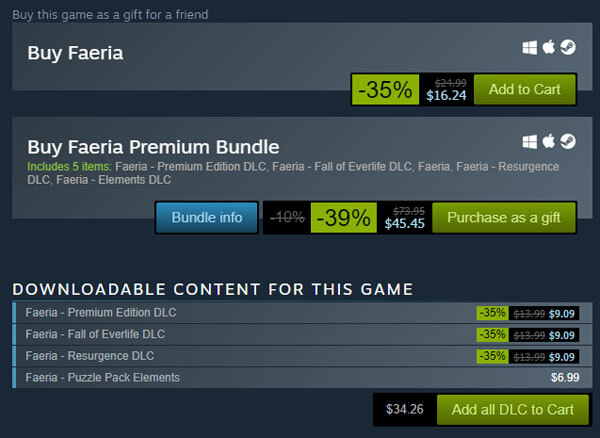 Faeria is on sale! Also, new Seasonal Card backs, and addressing some recent issues involving the Dragon's Lair. Through November 27th, all individual Faeria products other than Elements are now 35% off! The Premium Bundle is now non-dynamic, and is also 35% off! If there’s something you’re missing in Faeria, it may be the right time to pick it up - or get it for a friend that happens to like yaks. The current season’s cardbacks you can earn through Ranked and Pandora mode can be found below. This season ends on Monday, December 3rd! In the near future, we will begin working on a more complete balance patch, With this week’s Dragon’s Lair update we addressed Bloated Toad, but have our eyes on a few other issues we’d like to adjust. Keep an eye out for more news in this area. Over the past few days, the email verification issues we’ve been experiencing on new accounts should now be resolved. If you were experiencing this issue, the next time the prompt comes up for verification - it should work just fine. We’re aware of a few issues since the Dragon’s Lair update that we plan to fix on Monday. These issues include problems with Dragons taking no action for several turns, Daily Quest progress not advancing in solo Dragon missions, avatar emote issues, and being unable to purchase Daily Deals if not having over the original price in shards. 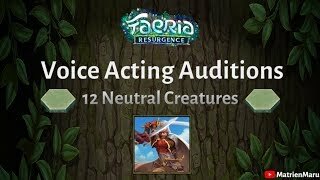 Matrien puts his voice to a selection of Neutral cards. What do you think? The next $400 Championship League tournament takes place tomorrow!